View The Obituary For Cedric Hall Dunbar, Jr. Please join us in Loving, Sharing and Memorializing Cedric Hall Dunbar, Jr on this permanent online memorial presented by Cooper-Sorrells Funeral Home. View The Obituary For Walter Paul Bane. Please join us in Loving, Sharing and Memorializing Walter Paul Bane on this permanent online memorial presented by Groveton Funeral Home. View The Obituary For Reva L Moore. Please join us in Loving, Sharing and Memorializing Reva L Moore on this permanent online memorial presented by Wade Funeral Home. View The Obituary For Mildred “Milly” Masters. Please join us in Loving, Sharing and Memorializing Mildred “Milly” Masters on this permanent online memorial presented by Carroway Funeral Home. View The Obituary For James R. “Pat” Watson. Please join us in Loving, Sharing and Memorializing James R. “Pat” Watson on this permanent online memorial presented by Carroway Funeral Home. View The Obituary For Wesley Bowden. Please join us in Loving, Sharing and Memorializing Wesley Bowden on this permanent online memorial presented by Fry-Gibbs Funeral Home. View The Obituary For Dell L. Martin, Jr.. Please join us in Loving, Sharing and Memorializing Dell L. Martin, Jr. on this permanent online memorial presented by Scanio-Harper Funeral Home. 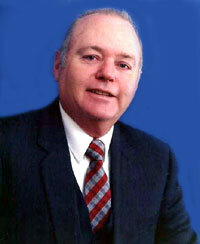 View The Obituary For Wesley Bowden of Paris, Texas. Please join us in Loving, Sharing and Memorializing Wesley Bowden on this permanent online memorial presented by Fry-Gibbs Funeral Home. View The Obituary For Dell L. Martin, Jr. of Temple, Texas. Please join us in Loving, Sharing and Memorializing Dell L. Martin, Jr. on this permanent online memorial presented by Scanio-Harper Funeral Home. View The Obituary For Cedric Hall Dunbar, Jr of Bonham, Texas. Please join us in Loving, Sharing and Memorializing Cedric Hall Dunbar, Jr on this permanent online memorial presented by Cooper-Sorrells Funeral Home. View The Obituary For Vernie D. Mason. Please join us in Loving, Sharing and Memorializing Vernie D. Mason on this permanent online memorial presented by McCoy Funeral Home. View The Obituary For Sam Vickers. Please join us in Loving, Sharing and Memorializing Sam Vickers on this permanent online memorial presented by Scott Funeral Home. View The Obituary For Walter Paul Bane of Groveton, Texas. Please join us in Loving, Sharing and Memorializing Walter Paul Bane on this permanent online memorial presented by Groveton Funeral Home. View The Obituary For Reva L Moore of Frost, Texas. Please join us in Loving, Sharing and Memorializing Reva L Moore on this permanent online memorial presented by Wade Funeral Home. View The Obituary For Mildred "Milly" Masters of Pearland, Texas. Please join us in Loving, Sharing and Memorializing Mildred "Milly" Masters on this permanent online memorial presented by Carroway Funeral Home. View The Obituary For James R. "Pat" Watson of Zavalla, Texas. Please join us in Loving, Sharing and Memorializing James R. "Pat" Watson on this permanent online memorial presented by Carroway Funeral Home.